Ask a Female Veteran to be your Valentine! small gift and/or card on Valentine’s Day is the least we can do to thank them for their sacrifice. For the female veterans in our VA facilities, it is necessary to contact our representatives at each facility to get the number of ladies there, and some idea for gifts. The gifts will need to be to the representatives by February 5th. We might know women who are veterans, but do not think about thanking them for what they have done for our country and us. Valentine’s Day is an opportunity to show our appreciation. wrapped, a list of items in the package should be included. Let’s make this a great year for Valentine’s Day and our female veterans. 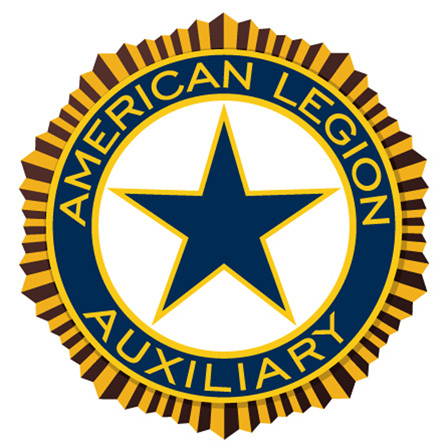 The Past President Parley shares the experience and knowledge of past Auxiliary leaders to train and encourage the newer Auxiliary leadership. This committee also recognizes and honors outstanding unit members through the Unit Member of the Year and also the female veterans through the Salute to Servicewoman Award. Award rules and deadlines are outlined in the Fall packet. This mailing also included the PPP Nurses Scholarship application information so please read carefully. We don’t want to disqualify anyone due to our (Unit) mistakes and oversights of the rules. Dates, deadlines and donation information is all included. Department and National Award information is also included in the Fall mailing. Again, please read and follow directions and deadlines. The Past Presidents are encouraged to mentor our Unit members. They are also encouraged to continue to support our ALA. We can be available to direct members who come upon conflict and assist with a plan. PPP encourages our Units to remember the female veterans for Valentines’ Day and also to pay your Parley dues. Contact you VA Rep to find out how many female veterans are at their facilities and to their needs. Also, if your Post and/or Unit has female veterans, you may wish to recognize them with a small gift. As in the past, we will be having the Past President Parley/Gold Star banquet at the Department Convention. More information will be coming as Gold Star chairman Jill and I get organized. Please keep me updated on any and all activities. It will help me to compile my mid-year report (by mid-December) and year-end report to the National Chairman.